Is there a better alternative to Calc Thingy? Is Calc Thingy really the best app in Mathematics category? 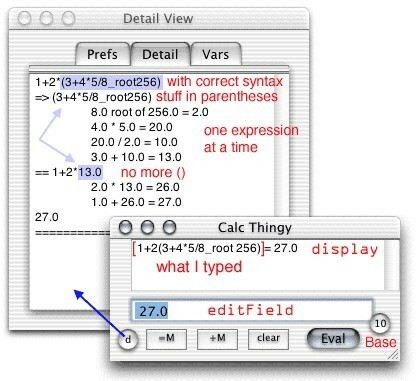 Will Calc Thingy work good on macOS 10.13.4? Calc Thingy allows you to type expressions for evaluation and hit enter. No more order of operations thinking on your part. Lots of operations, simple syntax and forgiving behaviour. Calc Thingy needs a rating. Be the first to rate this app and get the discussion started!